Step 1: Identifying Backup option in CPanel. Full Backup: A full backup creates an archive of all of your website’s files and configuration. You can use this file to move your account to another server or to keep a local copy of your files. 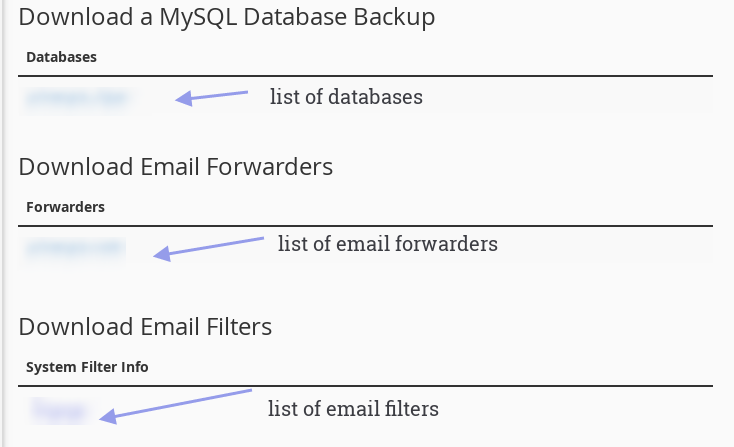 These backups are very helpful if you thinking of migrating from one server to another server. 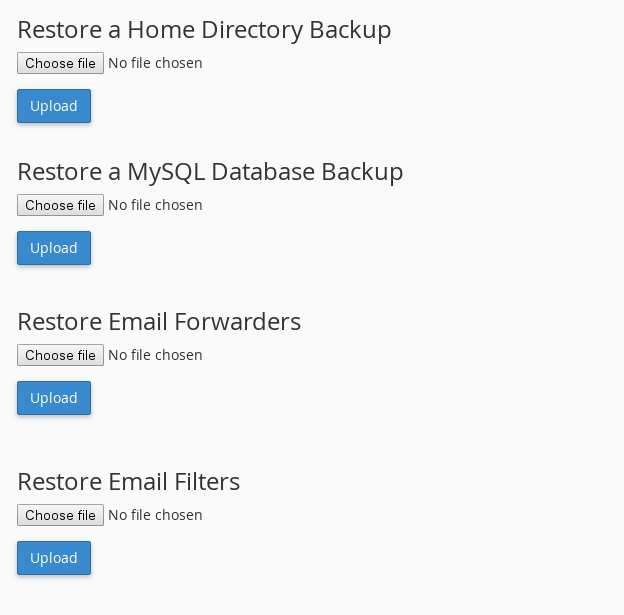 The next options are restore options, which can be used to upload your backups and restore them into CPanel account. We hope that you find these helpful for taking manual backups and restoration when needed.